Daisy, Daisy, give me your fragrance, do — Geoff Howell Studio Inc. 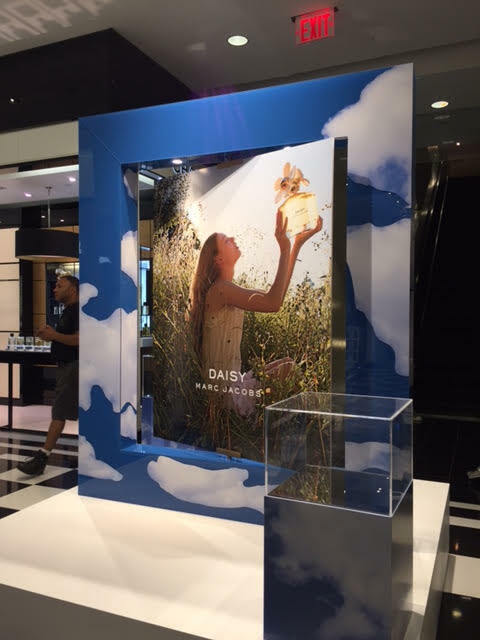 Evoking a decidedly a summer photo palette of blue skies, puffy clouds, wildflower fields and young ladies in summer dresses, Marc Jacob's does it fresh and simple for the promotional launch of his new fragrance Daisy at Bloomingdales. For our part, we built and installed several graphic wrapped shadow box frames with an angled image (that can perhaps evoke an open window...). 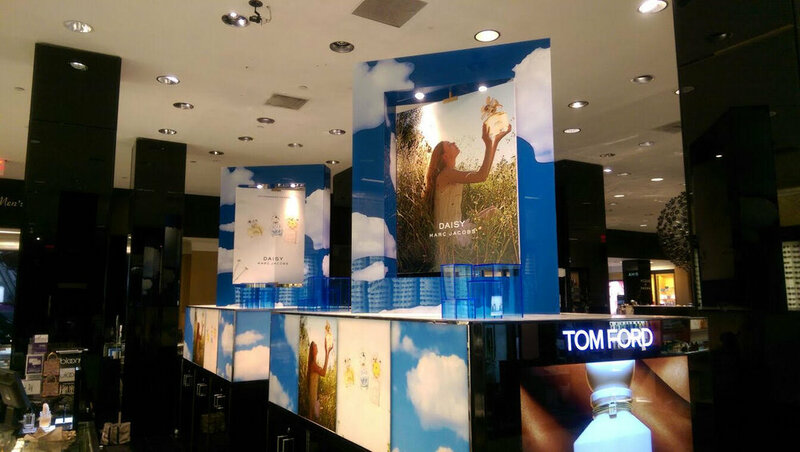 Also included were various graphics, risers, plinths and vitrines to complete the look.